The Viva BCC Mega Tank by AnyVape is a solid and decently performing tank that provides yet another viable option for those looking for higher capacity in their electronic cigarette accessories. The tank field is getting crowded, but the Viva just may find a good spot at the low cost end. The Viva BCC Mega comes attractive packaged in a tin flip-top box with the assembled tank and two additional 2.2ohm heads are securely held in place by foam padding. The tank itself is good looking as well. 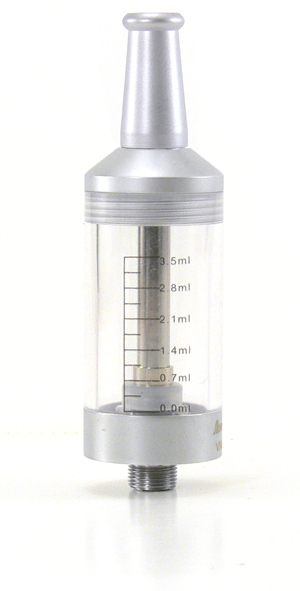 A clear plastic body with easy to read capacity markings is capped at both ends by brushed metal. The metal end caps screw onto the body easily and securely. The top one includes a removable mouthpiece and long center tube that meets with the tube on the coil assembly. 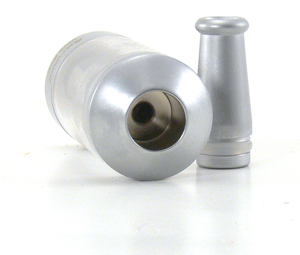 The mouthpiece well is compatible with 510 style drip tips. 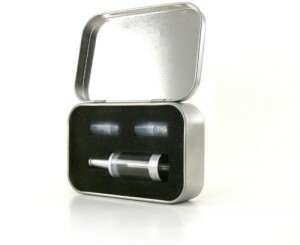 The bottom has a 510 electronic cigarette fitting and worked well with a wide variety of devices that we tested. 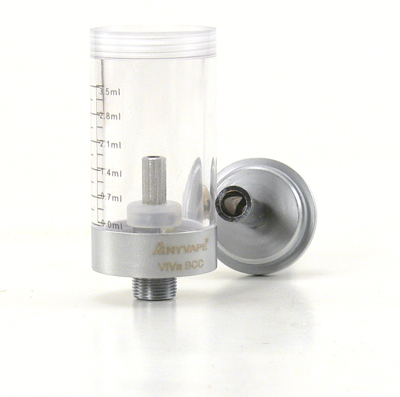 The coil head screws into the base and then the assembled base is into the tank, with the center tube of the coil assembly inserting into the center tube from the top cap. We can’t ignore the fact that this tank looks an awful lot like the VapeOnly BCC that we tested a short time ago. It is extremely similar in appearance with the only significant differences being in the tips and the fact that the coil head screws in, much like a ProTank. You could almost think of the Viva as a combination of the VapeOnly and Protank. It has the modular tank design of the former, with the coil assembly of the latter. The only drawback to this mashup is that the tank body is plastic rather than the glass of the ProTank, which users of highly acidic juice may miss. The Viva BCC is extremely easy to fill. With the bottom cap removed, e-liquid can simply be dripped into it due to the wide opening between the center tube and side of the tank. Removing the drip tip makes it easy to stand it on the top cap if necessary. As with all bottom coil tanks, filling on a paper towel is advisable, as a little e-liquid always seems to find its way into the tube when the coil assembly is pulled out. The vape from the Viva BCC is excellent, producing a great amount of vapor and very good flavor production. Wicking was perfect from the start with the 80PG/20VG juice it was tested with. There were no burnt hits through several tank fulls, although there was a slight amount of leakage from the bottom connection when the tank was nearly empty. No discussion of clearomizers or tanks would be complete without a word about leakage and gurgling. While the Viva is nearly immune from the former, it does exhibit a little of the latter. There is not a drop of leakage from the seals around the tube and we have only experienced a drop or two from the connection. Gurgling does become a little evident when the tank is nearly empty. 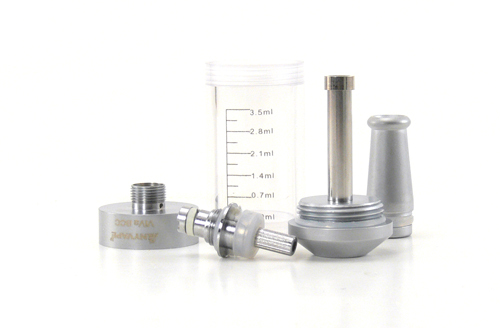 A small amount of juice or condensation does collect in the well where the mouthpiece connects, resulting in a little gurgling as well. The design does a very good job of preventing liquid in the mouth, though. This all brings us back to the inevitable comparisons between the Viva, theVapeOnly and the Protank. I must admit that the Viva is the only one of the three that worked perfectly right out of the box with my 80PG/20VG e-liquid. The Protank was close, but needed to have a little wicking removed to feed properly. 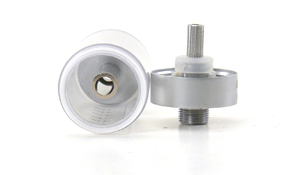 The VapeOnly took just a little longer to get right and has proven to be prone to leakage over time. Where the The AnyVape does have a clear advantage in terms of price, however. At only $10.95 from Viper Vape it’s one of the cheapest tanks on the market. Replacement heads are only $2.50, making it economical to maintain, as well. The price alone makes the Viva BCC Mega worth a try and the performance should ensure that it finds a place in many vaper’s lineups. Note: the Viva BCC tested above was provided by Viper Vape for the purposes of this review. 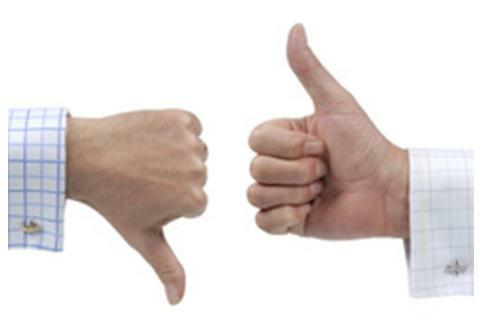 Demo products give us the opportunity to bring these reviews to you, but we do our best to not let that influence our opinions.